“Should we buy strawberry or cherry?” my mom asked as we neared the yogurt section of the grocery store. Summer was the only time she bought yogurt, and when she did, I knew we’d be making frozen yogurt pie. That cold, creamy dessert is something my siblings and I still remember about summertime as kids. This yogurt popsicle recipe gives a new twist to that refreshing treat. With only 2 ingredients, and no need for exact measuring, these yogurt ice pops are super simple to make. They are a perfect recipe for kids to make on their own. Use your spoon to scoop 1/2 of the Cool Whip into the bowl. Next, add both containers of yogurt. Any flavor of yogurt will work for this recipe. We like using a fruit variety, like cherry, strawberry, or blueberry. Mix the yogurt and whipped topping together until well blended. Use your spoon to fill the ice pop molds. Be sure to leave 1/4 inch space at the top to allow for the mixture to expand as it freezes. Freeze overnight. To remove your ice pops, just run warm water over the outside of the mold for a few seconds. Growing up, buying yogurt meant one thing. I love sharing those memories and this delicious summer treat with my own kids. 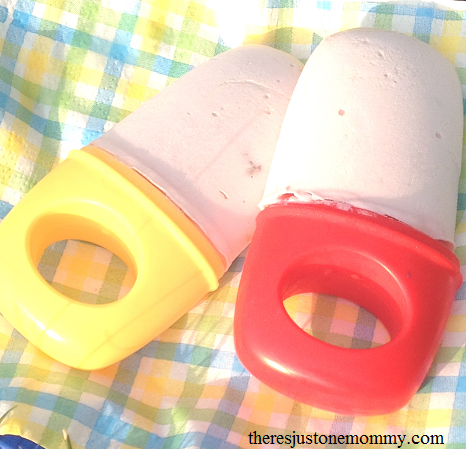 And they love that this yogurt popsicle recipe is a recipe kids can make. These look yummy with the cool whip added! My daughter is a Starbucks Barista, so she brought home her homemade whip cream skills. Can’t wait to add that to our yogurt pops! Visiting from Mommy Monday Blog Hop. I bought some popsicle forms. I am excited to use them. I would love to have you link up with us at Family Joy Blog Link Up Party this week. We have so much fun making our own popsicles. This recipe is one of my favorites. My sister has been wanting to do this for my niece. Guess I found my project for this weekend! These look great! I’ve frozen Go-Gurts packages before for the kids, but adding the cool-whip makes these even more delicious sounding! I’m wondering too if I could do vanilla yogurt and fresh fruit too! Thanks too for the links for the Popsicle molds. I actually need to get a new set soon. Thanks for posting this on the #Alittlebitofeverything link party today! In my opinion the Cool Whip just makes these. 🙂 I hope you get to try them. It’s on my next shopping list already! Can’t wait to try them! I’ll find you online when I get them made and let you know! Lovely post!!! 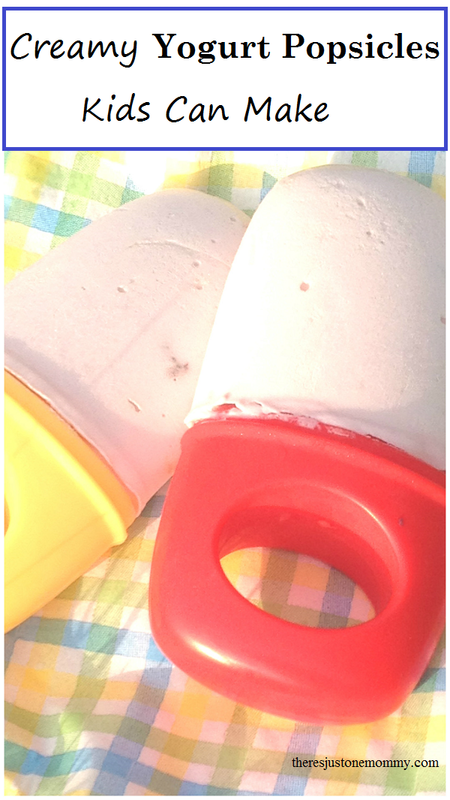 I also used to give frozen yogurt to my baby… she enjoy it and even more in the hot summer days. Thanks for sharing for us here at #Alittlebitofeverything.